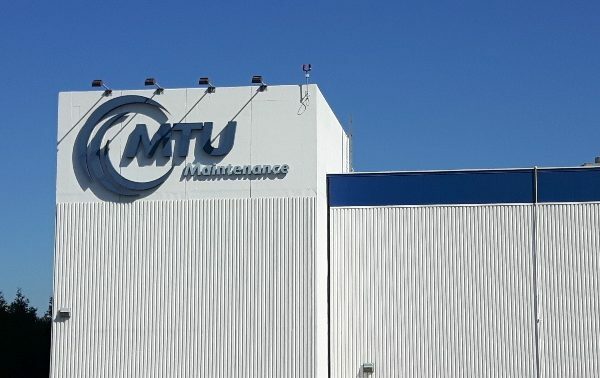 MTU Maintenance Canada is the North American member of MTU Maintenance network of companies, the largest independent provider of commercial engine maintenance services worldwide, under MTU Aero Engines. With 400 highly skilled employees, the company operates a shop in the immediate vicinity of Vancouver’s International Airport where it repairs and overhauls engines and accessories and performs engine tests. A 130,000-square-foot facility, complete with full test cell capacity, services military and commercial customers in V2500, CF6 and CFM56 engine programs. A full in-house accessories repair division complements both the in-house MRO activities as well as 3rd party MRO and LRU requirements for these and many other engine types, such as GE90. Atlas conducted in-house reviews with end users and field measurements with MTU to ensure all of their requirements were met and enable Atlas to propose a custom system to cover all areas of concern. An existing gantry crane was utilized to enable a point of tie-off wherever the crane was positioned along with anchors installed in strategic locations on the test cell itself. The anchors enable the safe maintenance of the test cell and any maintenance operations that need to be carried out on the jet engines. Special care had to be taken to avoid any drilling to avoid any waste or debris which would potentially damage the engines being tested.